Stephen Lam/Getty ImagesMicrosoft CEO Satya Nadella. MicrosoftCEO Satya Nadella bought all the members of his senior leadership team a copy of the book “Nonviolent Communication” in 2014 when he took over the company. At the time, Microsoft was known for having a culture of hostility, infighting, and backstabbing. “Nonviolent Communication” preaches compassion and empathy in communication, and it has lessons that apply beyond the boardroom. When Satya Nadella became CEO of Microsoft in 2014, he inherited a company whose culture was known for hostility, infighting, and backstabbing among its top executives. To turn the company around, he made the members of his senior leadership team read the 2003 book “Nonviolent Communication” by the psychologist Marshall B. Rosenberg. Nadella handed out copies at his first executive meeting. 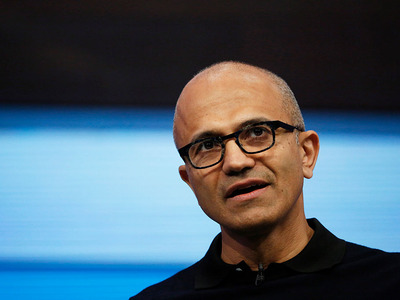 It was a sign Nadella planned to run Microsoft differently from his predecessor, Steve Ballmer. In “Nonviolent Communication,” Rosenberg preaches compassion and empathy as cornerstones of effective communication. I took a look at “Nonviolent Communication” and found that the lessons apply well beyond the Microsoft boardroom. Here are the three biggest takeaways. 1. Effective communication has 4 components. Observing what is happening in a situation (such as someone saying or doing something you don’t like). Stating how you feel when you observe the action. Expressing how your needs are connected to the feelings you identified. Addressing what you want by requesting a concrete action. 2. Our observations are often clouded by evaluations. Rosenberg says good communicators are able to separate their observations of a situation from their evaluations or judgments of it. For example, the sentence “Janice works too much” contains an evaluation – working too much is subjective, and if Janice heard that, she may take it as criticism and become defensive. On the other hand, saying “Janice spent more than 60 hours at the office this week” is an observation without any judgments attached. Rosenberg said he once heard that “observing without evaluating is the highest form of human intelligence” and was initially dismissive of the idea. 3. We need to strengthen our vocabulary for feelings. One of the most interesting parts of the book is a section on learning to identify and express your feelings. Rosenberg writes that when you’re expressing your feelings, it’s better to use words that refer to specific emotions rather than words that are vague and general. Don’t say you feel “good” when words like happy, excited, relieved, or anything else could describe how you feel more precisely. “Words such as ‘good’ and ‘bad’ prevent the listener from connecting easily with what we might actually be feeling,” he said. On top of that, Rosenberg says it’s helpful to distinguish between words that describe our actual feelings and words that describe what we think others are doing. For example, saying “I feel unimportant to the people I work with” may sound as if you’re expressing your feelings, but you’re really describing how you think other people are evaluating you. The underlying feeling might be sadness, discouragement, or something else. Similarly, saying “I feel ignored” is less an expression of your own feelings and more an interpretation of how other people are acting toward you. And the same goes for sentiments like neglected, cheated, taken for granted, and used. “By developing a vocabulary of feelings that allows us to clearly and specifically name or identify our emotions, we can connect more easily with one another,” Rosenberg wrote.